how to make coffee The Perfect Cup of Coffee. An explanation of how instant coffee is made, is that a concentrated liquid solution of real coffee is brewed, and than the water is taken out by dehydration, and with what’s leftover being instant coffee. 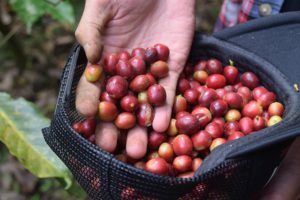 The first thing is the green coffee beans are roasted, with the Robusta bean being used mainly for instant coffee because of its cheaper price, and stronger flavor. The beans are roasted in the same way as they are for brewed coffee, but after this step scored rollers crush the coffee beans to a fine size of .020 to .043 inches or .5 to 1.1 millimeters. These fine coffee grounds are than heated in water to 284F to 365F, until the resulting product is between 15 and 30% by mass. Then either a vacuum evaporation or by freeze drying will produce the final product, and sometimes a centrifuge is used to separate the water from the coffee mix. The spray drying uses hot gas to remove the water, and is an ideal method with a short drying time, and will avoid any heat damage to the coffee mix. The freeze drying method cools the water to freezing, and than separates the ice crystals from the coffee concentrate without the water going through a liquid stage. Then the aromas of the coffee that were lost through roasting and the other steps are sprayed back into the coffee particles, and this process can be done when the coffee is getting ready to be packaged. The small instant coffee particles can easily absorb moisture from the air, so they must be packaged in a low humidity environment, and into moisture proof containers. Also, for the instant coffee to keep its aroma and flavor it is packaged in a low oxygen atmosphere into vacuumed sealed jars, or other airtight containers. Typically it takes about 1tsp. of instant coffee per cup, personally I prefer two, but that depends on each individuals taste. In some countries instant coffee is more popular than brewed coffee, and the United States consumes about 40,000 tons per year. There are many excellent brands of instant coffee on the market today, and as a consumer you can try out the different ones until you find one that meets your taste. 1 Nescafe has been a favorite for many years, and is made from the dark roasted coffee beans with nothing else added. It has a long shelf life because of its packaging, and with the rich flavor is appreciated by many. 2 The G7 instant coffee is a product that contains a non-dairy creamer, and sugar already added. This instant coffee is a favorite of Southeast Asia, because it is very easy to pack and only needs water added. 3 Douwe Egberts Pure Indulgence instant coffee is produced by a Dutch company that uses only the best coffee beans to produce a high quality coffee. It is made with a dark roast that keeps the flavor and aroma, and is greatly appreciated by many. They also produce an instant coffee from a medium roast called Pure Gold that has a rich milder flavor. 4 Starbucks instant brew coffee packs are made from 100% Arabica beans, and have a dark roast and a smooth flavor. Just open a packet into your cup, and add hot water to enjoy a sweet roasted flavor of instant decaffeinated coffee. As with all coffees you have to appreciate the flavor that suits your taste. The caffeine content in instant coffee is usually less than in your brewed coffee. The regular instant coffee will have about 66mg per cup, while the brewed coffee has 112mg per cup for caffeine content. The first instant coffee was made in Britain in 1771, while America saw its arrival in 1851, and New Zealands David Strang patented an instant coffee in 1890. Satori Kato of Chicago created a stable coffee powder in 1903, followed by George Constant Louis Washington with the first commercial brand in 1910. Then in 1930 Brazil had a large coffee surplus, so they asked the Nestles company if they could create a soluble coffee to help with their excess of coffee. In 1937 Max Morgenthaler, a Nestle scientist created a new way to make instant coffee, and named the product Nescafe, which came on the market in 1938. They dried soluble carbohydrates and coffee extract in equal amounts to produce a flavorable coffee that became very popular. Also in 1954 Nescafe came up with a way to produce instant coffee using only coffee with no additives to it. Then in 1986 Nescafe brought out the decaffeinated instant coffee. Some of these Instant coffees are made from premium Arabica beans and have gourmet flavoring added, so their is a large choice when it comes to the instant coffees today. 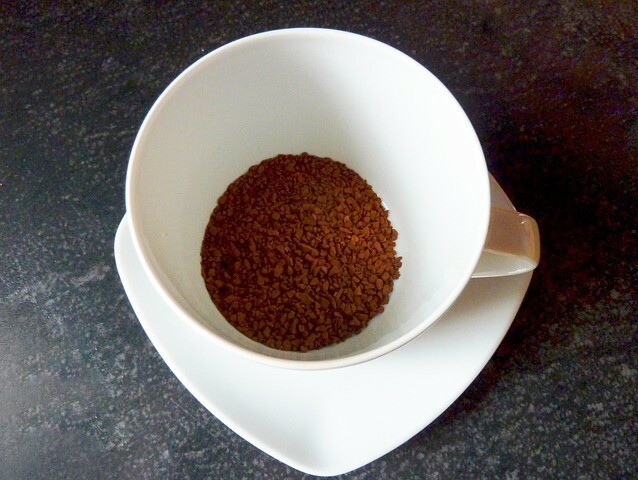 With instant coffee you have a way to prepare a quality cup of coffee very fast, with no brewing time involved. When choosing an instant coffee you might wont to consider where the coffee beans came from, as each country will have a different flavor, and the price and packaging, plus the expiry date can be considered. The instant coffee today has become a very popular trend with over 200 billion cups consumed every day. 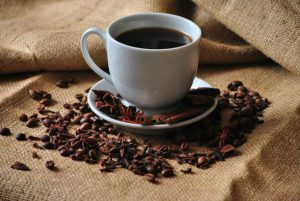 Will it ever become as tasty as a home-brewed coffee from fresh grounds, many don’t think the instant coffee companies are quite their yet, but for the convenience it is a big seller. The volume growth of instant coffee on the world market is expected to be about 35 billion dollars for this year. Nescafe brand instant coffee has become the world dominant leader in sales. British consumers account for almost a third of the sales of instant coffee in all of Western Europe, and with new products such as Nescafes Azera, which is said to be a barista style coffee with a strong aroma, and that roasted coffee taste in an instant coffee, sales will continue to climb. So to pick an instant coffee that you like, can involve trying out many different brands until you hit the one that matches up with your taste. Stop by for a coffee and let me know how the search for your coffee goes. You can find your bran new coffee maker on the internet.